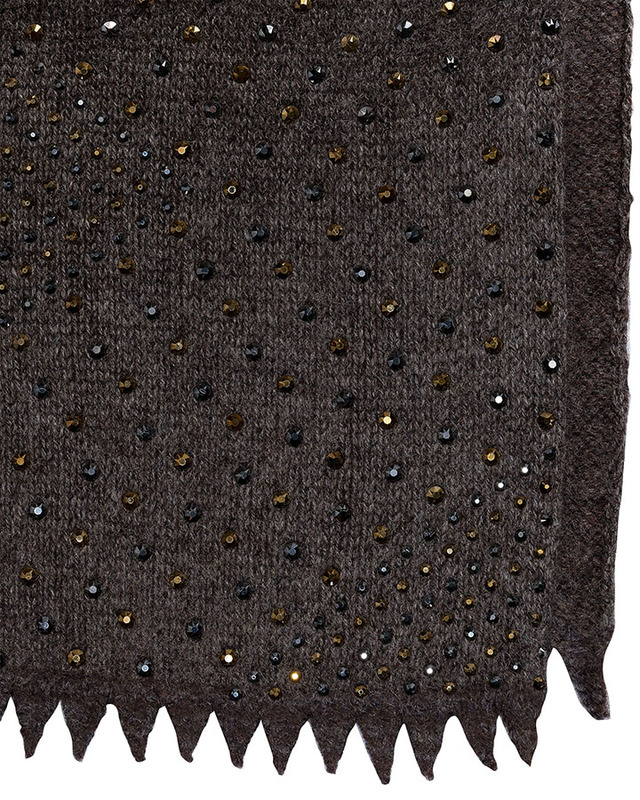 Cashmere crystal studded scarf encrusted with Swarovski crystals in a diamond geometric pattern. This scarf has an amazing weight from the thousands of crystals! Wow! Available in the all crystal off white 'Haze' with glowing clear crystals, chic 'Jet' with all black crystals, the 'Indigo' navy, ‘Brown' or the 'Grey' opal for the more understated. And don’t forget about the absolutely fabulous, 'Turmeric' with glowing yellow opals. This is our dressiest, most dazzling scarf with more sparkle than you can shake a stick at. Measures 20" x 72".